Lifelong friendships; steadfast support for fellow Saints in joyous times and in moments of sorrow; happy reunions and cherished memories of their years at St. Mary’s. This is what makes the St. Mary’s experience special and why so many St. Mary’s alumni send their own children to the school. 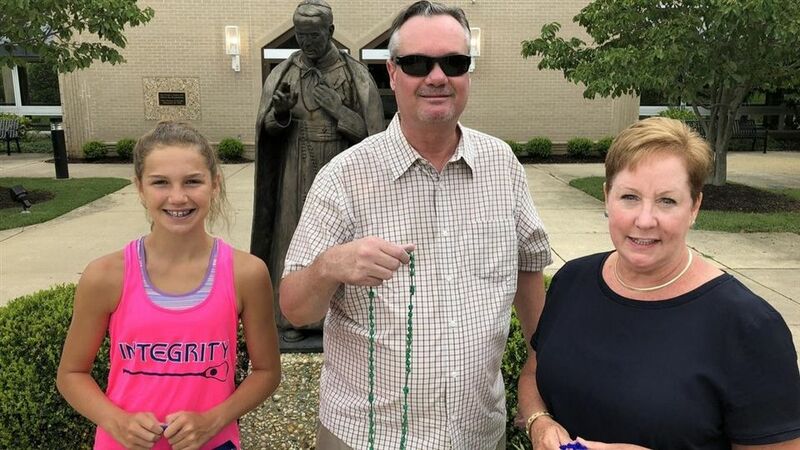 The St. Mary’s Alumni Association fosters friendly relationships among graduates of the school and promotes their spiritual, mental and moral well-being. The association keeps the school’s influence alive, advances its interests, perpetuates its traditions and provides moral and financial support. St. Mary’s alumni are devoted to the school and take part in many activities. 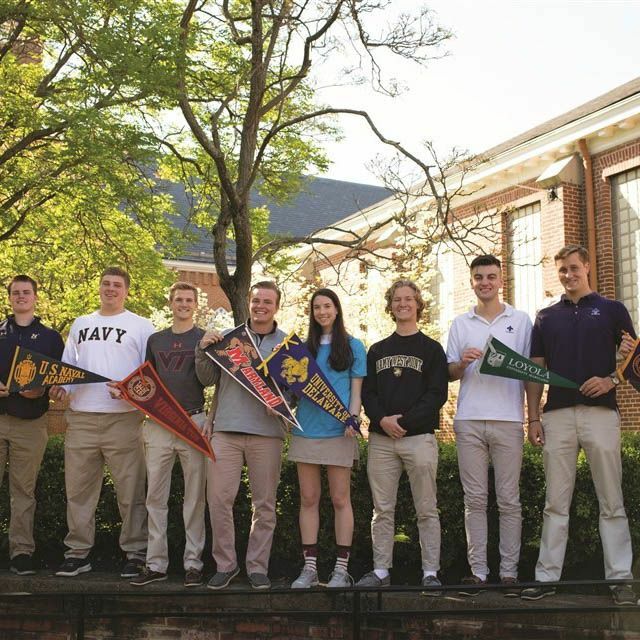 At every turn, you will find alumni helping out at fundraisers, being guest speakers for classes, or assisting other Saints with career choices, internships or college selections. 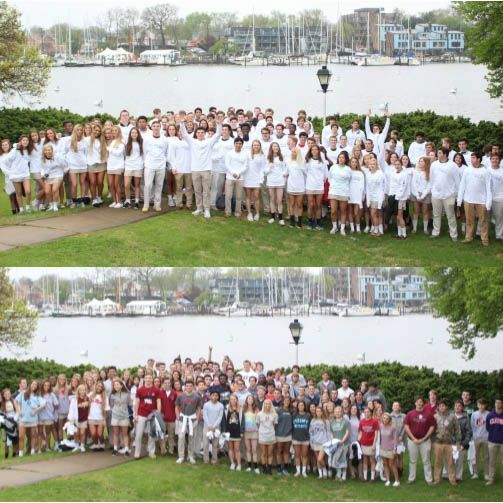 Alumni return for many activities, including Alumni Weekend for the Distinguished Alumni Awards Ceremony, class and group reunions, and the Black Friday Alumni Challenge Lacrosse Game, the annual celebration of the historic rivalry between St. Mary’s and Severn School. Alumni Induction Day, an annual event held in the spring, is an opportunity for the high school seniors to be formally welcomed into the St. Mary’s Alumni Association. Seniors begin the day with a breakfast hosted by the St. Mary’s Alumni Association to celebrate the seniors’ transition into the newest generation of alumni. At St. Mary’s, alumni view their high school graduation not as an end, but as a continuation of the close community spirit they cherish. Whether you go to St. Mary’s for thirteen years or four years, the spirit of St. Mary’s endures forever. The Distinguished Alumni Awards are given each year to recognize graduates of St. Mary’s who have contributed to the community by their service, or by their professional accomplishments or achievements. This year’s awards ceremony will be held on Saturday, April 13th, 2019. 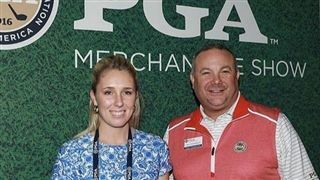 St. Mary's alumna, Kaeli Smith, receives the "Best New Product of the Year" honor at the 65th annual PGA Merchandise Show. 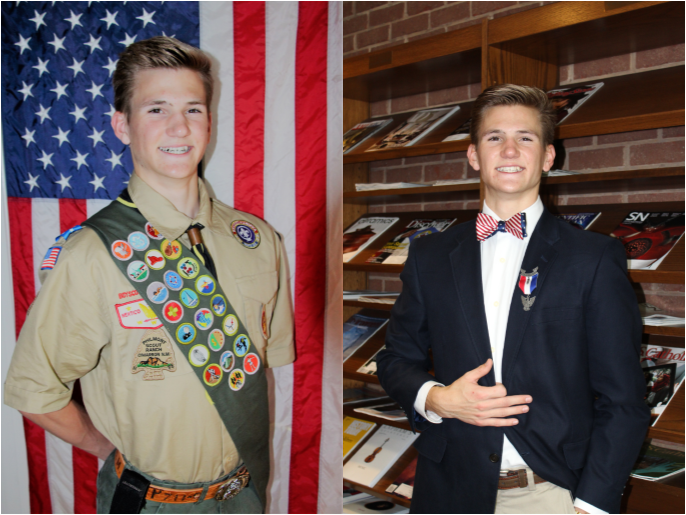 Bold Business highlights St. Mary's High School alumnus, Captain Robert B. Chadwick II. 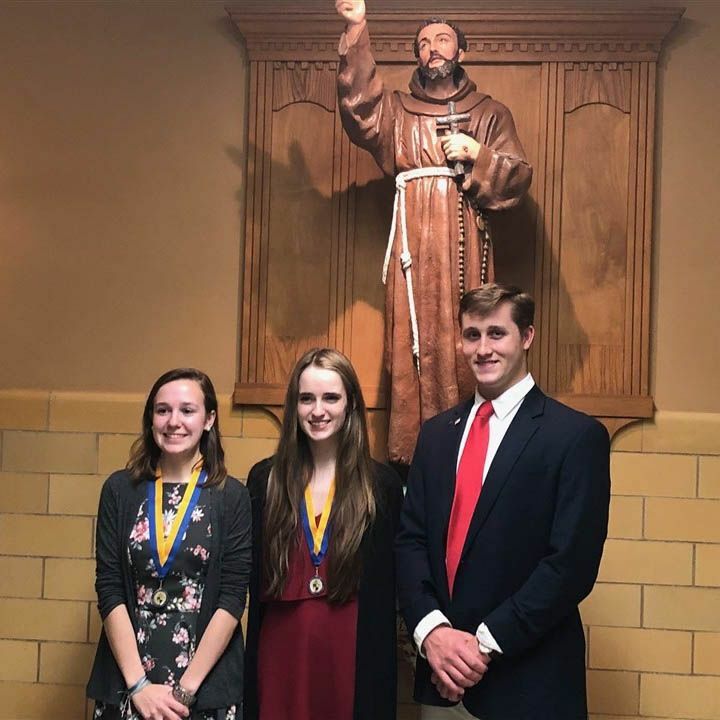 Congratulations to Anna Grimm ’18, Alexis Kruger ’18, and James Hayburn ’18 for earning the top academic honor of Distinctive Scholar for their exemplary academic achievement at St. Mary’s High School. This photo is from the Archdiocese of Baltimore’s 26th Annual Distinctive Scholars Convocation Ceremony. After the Alumni Induction Breakfast, each senior received a St. Mary’s Alumni long sleeve t-shirt from our generous alumni association and we captured this photo of the class. The second photo includes our students wearing the gear of the institution they will attend next in their education journey. As the school year is ending, we offer our sincere best wishes to the young men and women of the Class of 2018! We are delighted to announce that Captain Paul Tortora, the Director of the United States Naval Academy’s Center for Cyber Security Studies, is our graduation speaker on May 24th. Semi-Finalist for Teacher of the Year for Independent Schools in Anne Arundel County. 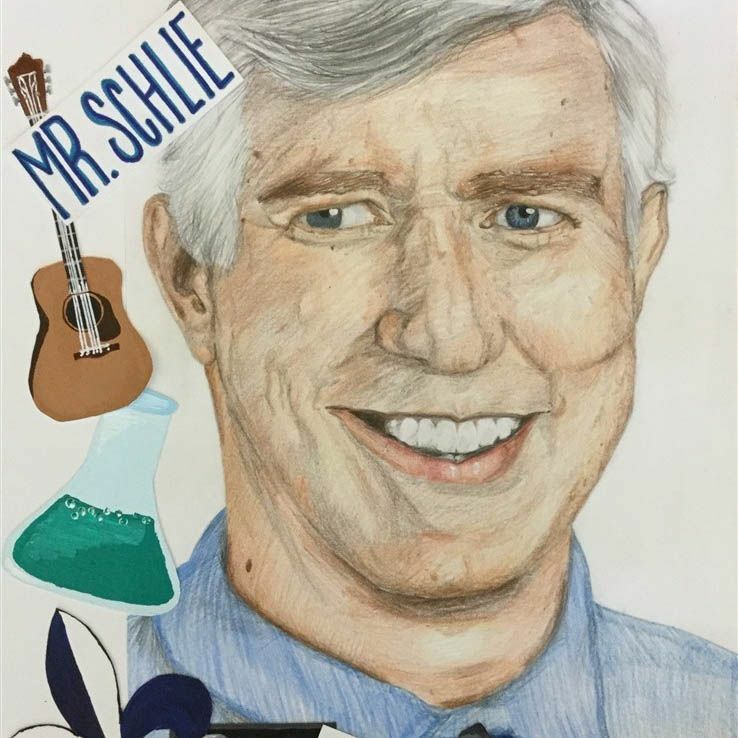 On April 25, Mr. Jaime Schlie earned the distinguished honor of Semi-Finalist for Teacher of the Year for Independent Schools in Anne Arundel County. St. Mary’s Leaders in Action Club members had a great weekend on April 28. Fyock stopped 16 shots in the Saints’ victory over McDonogh to open up MIAA A Conference play on Tuesday. Julianna Sanchez led the charge with six goals and Whitney Albert scored four goals and registered an assist in St. Mary’s 18-8 victory over Garrison Forest on Wednesday. Whitney Albert and Savvy Smith played a large role in helping the St. Mary’s girls lacrosse team lead Severna Park for most of the game on Monday. The Capital Gazette Communications boys Swimmer of the Year comes from a swimming family and has made his mark for four years now, while the girls Swimmer of the Year is just a sophomore who burst onto the scene swimming for Glen Burnie High School. By far the biggest story to come out of the first weekend of the 2018 NCAA Tournament involved UMBC beating Virginia. It marked the first time a 16th seed had ever beaten a No. 1 seed and has been called the greatest upset in college basketball history. Congrats to Bryce Pfundstein - PNC Achiever of the Week!! 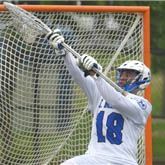 Aleric Fyock from St. Mary’s Annapolis - 15 Saves vs. Georgetown Prep. 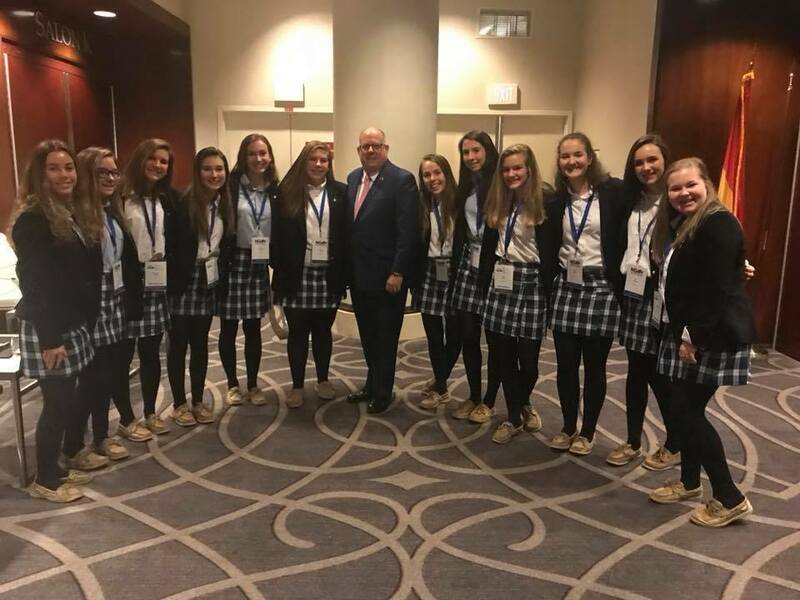 Our St. Mary’s High School group, Nothing But Treble was honored to kick-off the opening ceremony at the National Governors Association Winter Conference singing the National Anthem. Towson junior Alex Woodall became the first faceoff specialist in Division I men’s lacrosse this season to win 20 draws when he went 21-of-31 in the No. 19 Tigers’ 15-13 win against Mount St. Mary’s on Saturday. 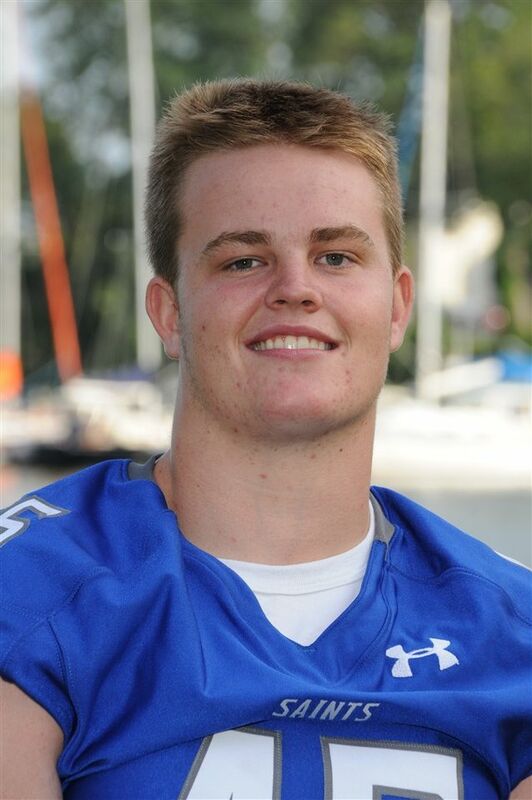 The Annapolis resident and St. Mary’s graduate also scooped up a game-high 14 ground balls and scored one goal in the fourth quarter. Named the Colonial Athletic Association’s Player of the Week, Woodall discussed his performance after the game. 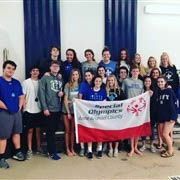 Jimmy Hayburn capped off an unprecedented four-year run of dominance and in the process led the St. Mary’s swim team to its fourth straight Maryland Interscholastic Athletic Association B Conference title. 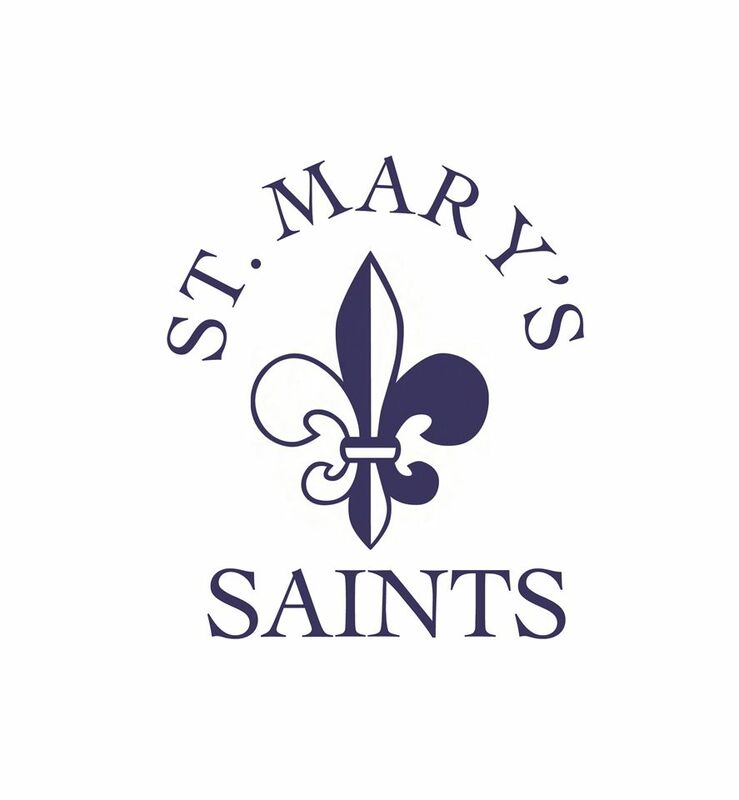 The St. Mary's Girls Lacrosse team is excited to announce that they will be playing at US Lacrosse Headquarters in March. 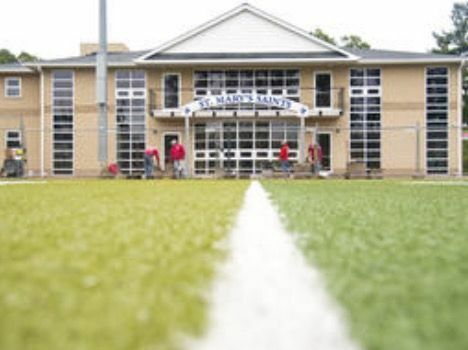 St. Mary's will be opening up conference play against Glenelg Country School on March 16 at 6:30 pm. This will be the first high school game played at US Lacrosse Headquarters this spring. St. Mary's football coach Jason Budroni, left, with his players Parker Lewis, Trinity, Donald Day, Case Western Reserve University, and Kyle Hill, Salisbury University. St. Mary's football players sign their letters of intent to play college football during an event Wednesday. St. Mary’s senior Jimmy Hayburn is amazingly focused and driven. Hayburn knows exactly what he wants to do for a career: become an accountant. Congrats to Kathryn Pipkin, class of ‘17. Alumni John Kluh nets the sudden-victory goal! John Kluh nets the sudden-victory goal for the Wildcats just seconds into the first overtime to secure a 17-16 win over No. 12 Penn State. 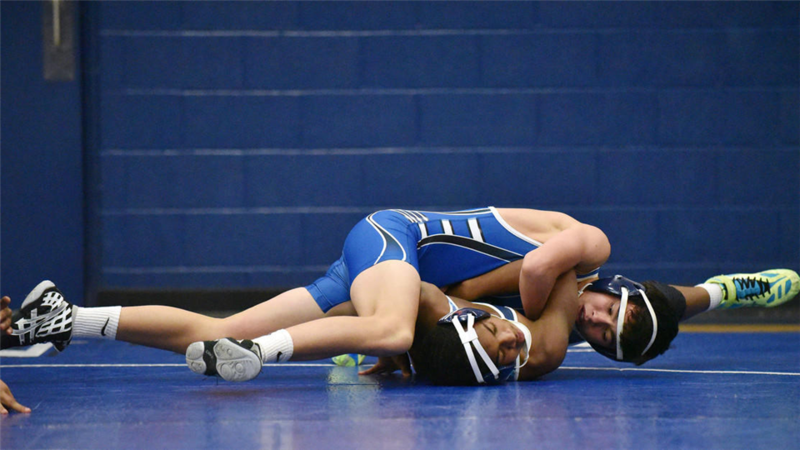 For the St. Mary’s wrestlers, this match was the one that really mattered. 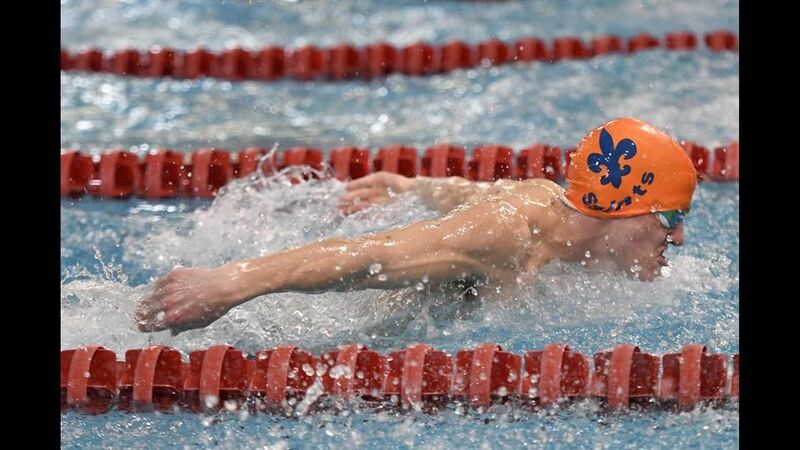 Jimmy Hayburn of St. Mary’s placed first in the 50 freestyle and second in the 100 freestyle at the 81st National Catholic High School Swimming and Diving Championship meet held over the weekend at the Mangione Aquatic Center at Loyola University. Hayburn is the first St. Mary's boys swimmer to win an event at National Catholics. When Chuck Miller decided to end his short retirement and return to coaching this year, Monday’s game was one he looked forward to. 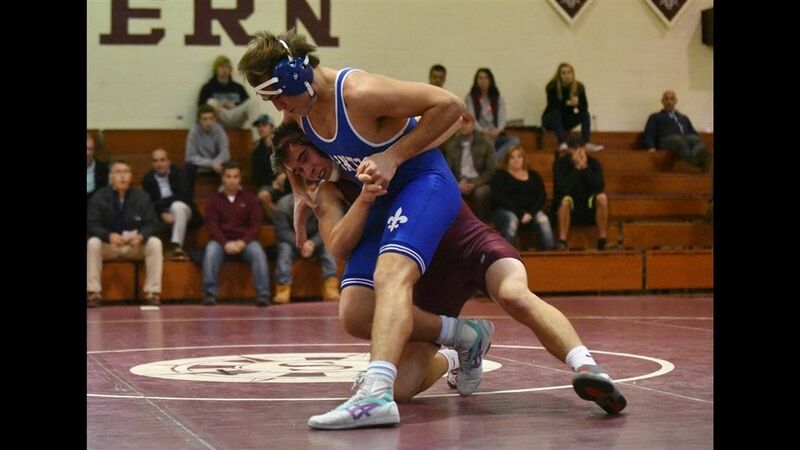 Patrick Ruland managed a grueling 7-5 decision at 126 and Joey Conte (120), Will Gardner (152) and Raymond Healy (220) each recorded pins as St. Mary’s downed Mount Carmel, 46-24, on Thursday. St. Mary’s is now 3-0 with many matches to come due to cancellations. 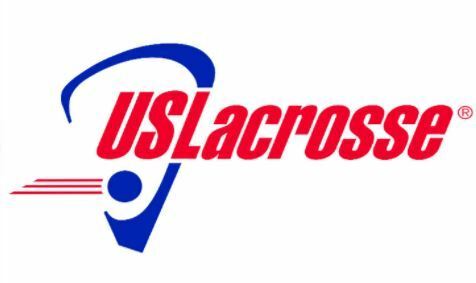 Former St. Mary’s High and University of Virginia standout Tiffany Schummer Hoffman was inducted into the Baltimore Chapter of US Lacrosse Hall of Fame during a ceremony held this past Saturday night at Hillendale Country Club. 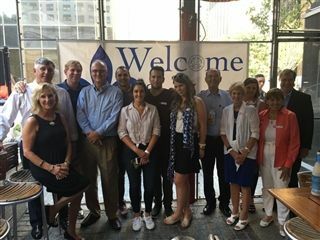 The Chesapeake Chapter of US Lacrosse made a strong comeback last year when it conducted a Hall of Fame ceremony for the first time in almost a decade. A pair of legendary head coaches – Jim Moorhead and Dave Cottle – joined the shrine that was initially established in 2004. When a woman rises to a position more frequently held by men, like school athletic director, it’s a good sign when two realities coexist — that a woman’s presence in the job is so natural as to seem like no big deal, but is in fact a big deal to the girls who look up to her. With just five Severn wrestlers suited up for its match with rival St. Mary’s, the afternoon’s victor was decided before anyone stepped on the mat. 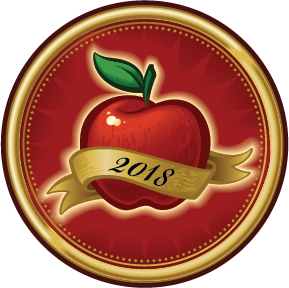 Semi-Finalist for the 2018 Anne Arundel County Independent School Teacher of the Year Walter "Jamie" Schlie, Jr.
St. Mary’s is excited to announce that for the third year in a row we are being recognized for our dynamic teachers. Jamie Schlie is a Semi-Finalist for the 2018 Anne Arundel County Independent School Teacher of the Year. 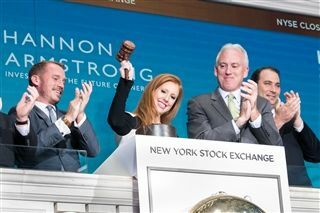 Amanda Cimaglia '01, joined Annapolis-based Hannon Armstrong (NYSE: HASI), a leading investor in sustainable infrastructure, including energy efficiency and renewable energy, in 2012 and currently serves as Director, Investor Relations & Corporate Communications. Grace Moore is a senior at St. Mary's High School in Annapolis. She is a star on the track and soccer teams but also does everything she can to make her community a better place. Kathy Norwood and Matt Martelli returned to GMU for the 14th Annual Patriot Games Classic, along with six high-school performers and two of our USNA coaches. In 1992, Haley Scott DeMaria was a freshman and a member of the Notre Dame women’s swim team when the bus carrying the team home from a meet overturned in a snow storm. Captain Robert Chadwick, USN, the 87th Commandant of Midshipmen at the US Naval Academy, visited Saint Mary's on 29 November to speak to the student body at the school’s National Honor Society chapter induction ceremony. Chuck Miller has coached a lot of basketball games over his long, distinguished career. Today we held our National Letter of Intent Signing. We have twenty athletes this year that will continute their athletic career in college. 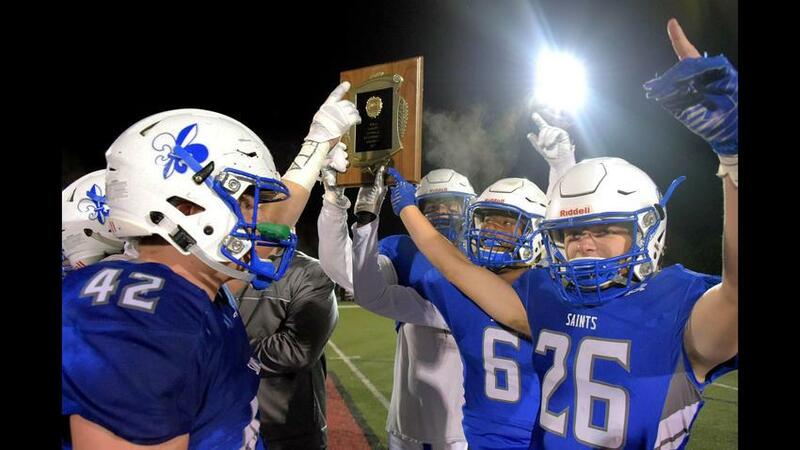 Congratulations to our Saints! 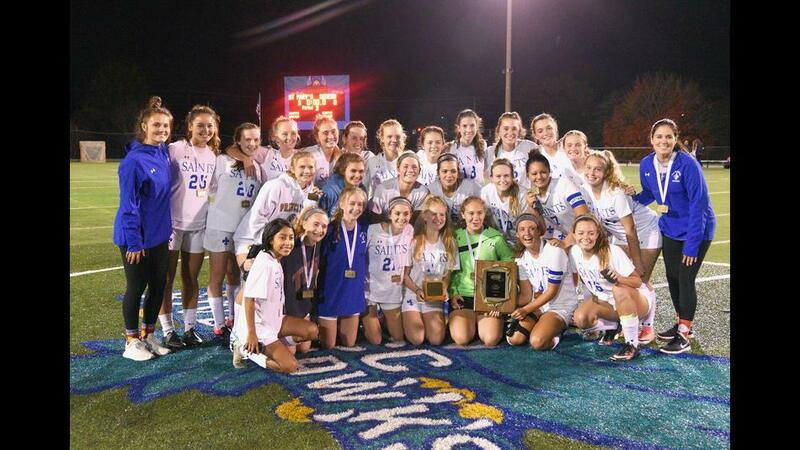 That 0-4-1 start to the St. Mary's girls soccer season now must seem like a distant memory for head coach Sarah Molina and her squad. In most years, a victory over Severn would be a good way to wrap up the season and retain bragging rights until the following season. Maryvale own goal less than five minutes into the game was all the St. Mary’s Saints needed to stamp their ticket to the IAAM B Conference championship game at Anne Arundel Community College on Saturday. Jimmy Hayburn comes from a family of swimmers. It’s fitting that in 2018, he’ll follow in his sister’s footsteps to an NCAA Division I swim program. Going to work every day is routine, but for some it is a passion and part of who they are. Teaching comes naturally to Christine O’Neil, a reading teacher for grades 3-5, who recently was nominated for the 2018 Anne Arundel County Teacher of the Year. Donald Day sets an example on and off the football field. 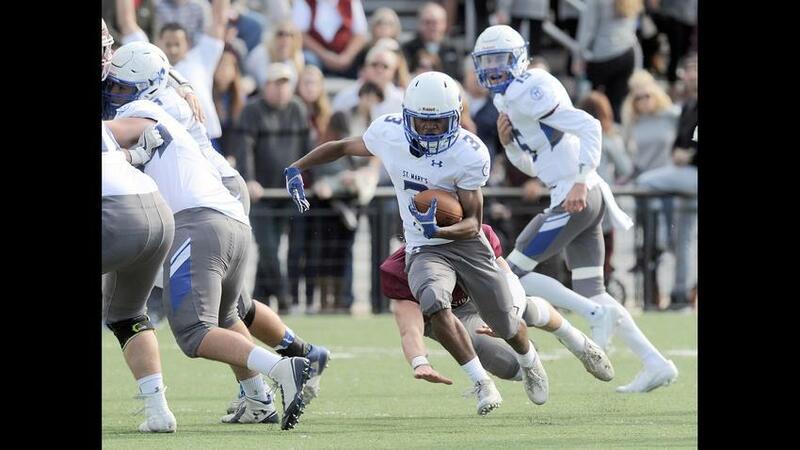 The St. Mary's High School running back doesn't just want to be a better player but also a better teammate. Lindsay Hegewisch might get in trouble with her father, but her St. Mary’s teammates are just fine with her actions. 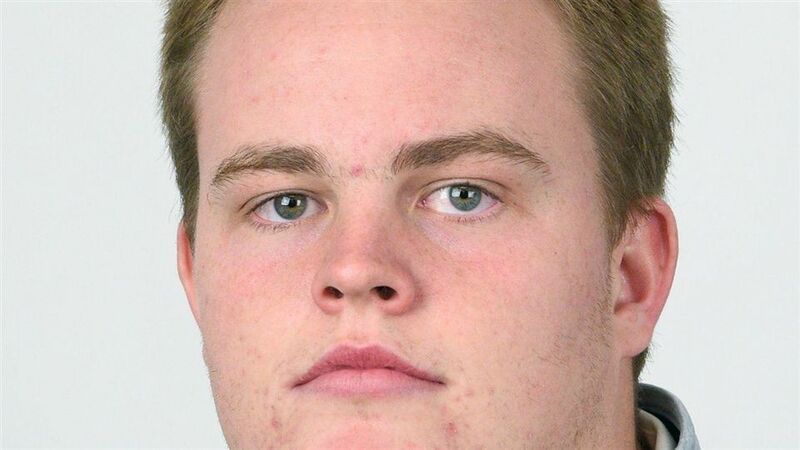 Tim Mealey was a high-scoring attackman when he played lacrosse for the Annapolis Lions. Prior to the last game of the season at the Pee Wee level, the team’s coach asked Mealey to do something unselfish. As a private school, St. Mary’s competes with several other similar institutions in the area for its students. A big part of the recruiting process for any school is showing off its athletic department. An extension of the athletic department is the school’s athletic facilities. Joe Thompson, who played on a Final Four team at the University of Virginia, has been named Cape Henry Collegiate’s boys lacrosse coach. He just couldn't stay away. 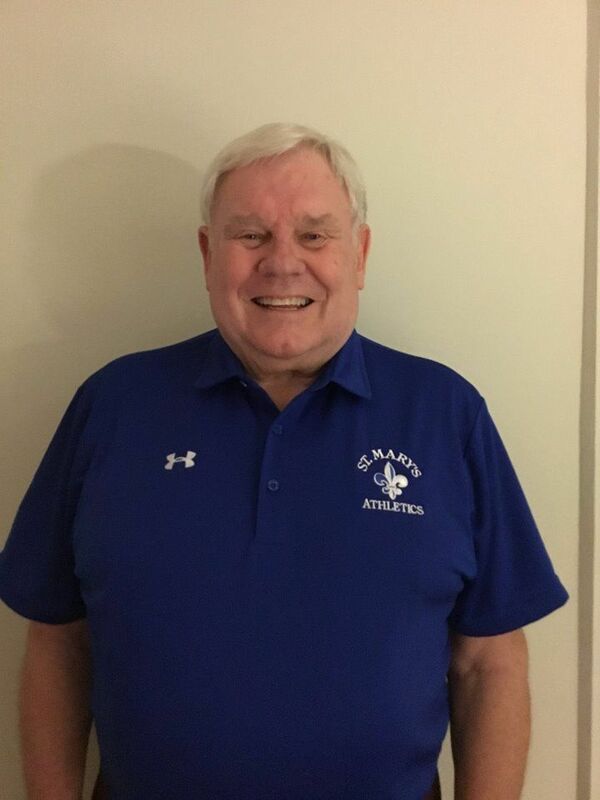 After spending a year in retirement, veteran girls basketball coach Chuck Miller has been hired as the new head girls basketball coach at St. Mary's. Miller replaces Trey Quinn, who took over the Saints' boys program. 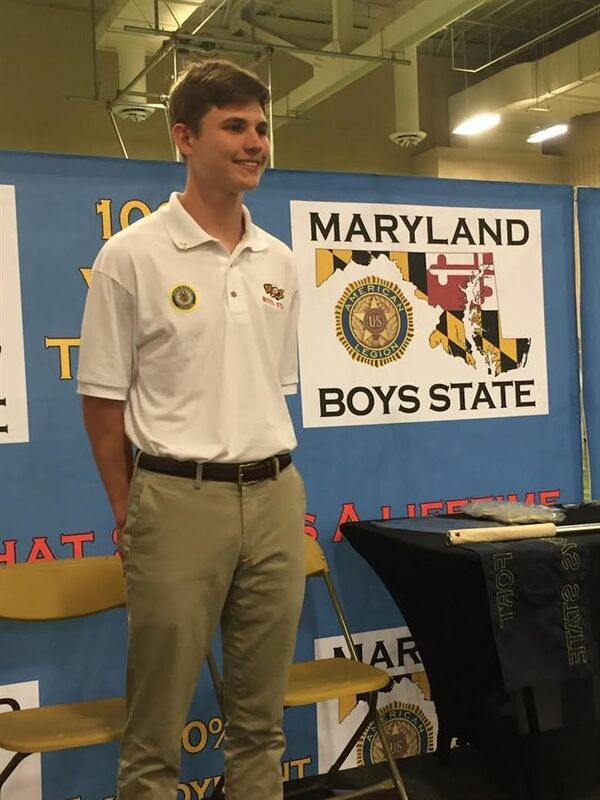 Taylor Hawkins recently graduated from Maryland Boys State 2017. Taylor was one of 160 students from across the state selected to participate in the intensive weeklong leadership program sponsored by the American Legion. Taylor is in the Class of 2018 here at St. Mary's. As each day passes, Corey Childs further imbeds himself in the Annapolis area soccer community. 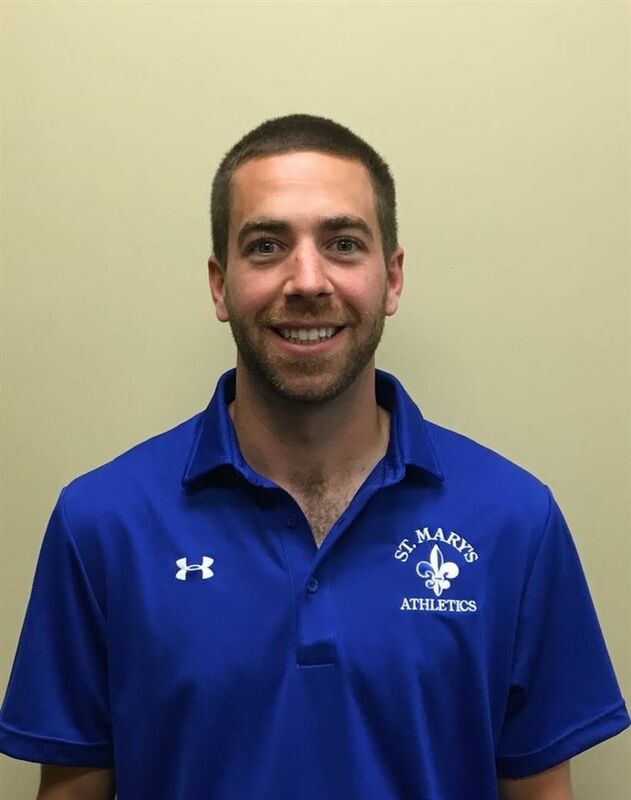 Childs, a former All County and Baltimore area All Metro midfielder with Broadneck, has officially been named as St. Mary's boys soccer coach. 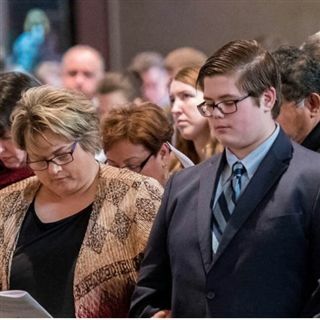 As a Catholic institution, the central piece to our graduation ceremony is Graduation Mass, offering students the opportunity to celebrate in the Eucharist their academic accomplishments and faith formation. 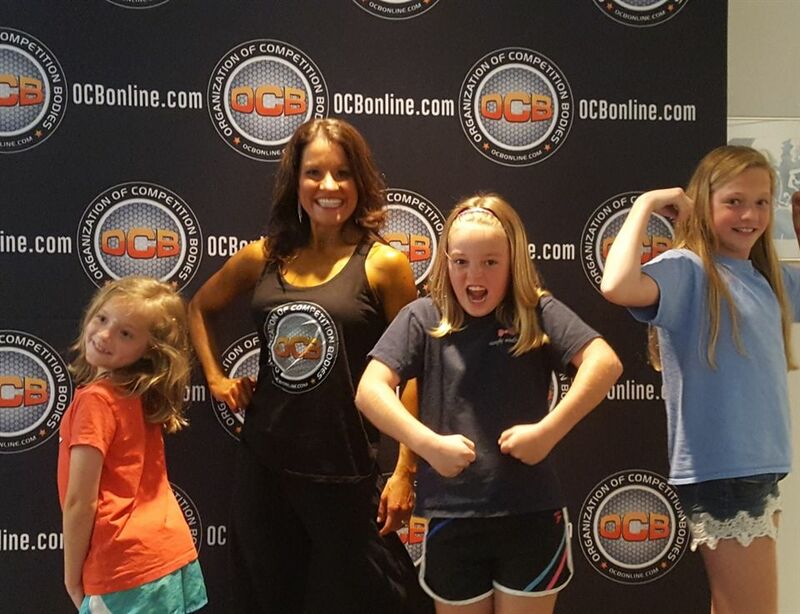 Last weekend, Nicole participated in her first bodybuilding competition at the 2017 OCB Frederick Fitness Classic in the Bikini category. The tradition of Kindergarten Graduation began at least 30+ years ago. It is a wonderful way for the children, families, teachers, administration and clergy to celebrate the first year at St. Mary's, and mark an important transition into First Grade. Championship was 'long time coming' for Maryland men's lacrosse. 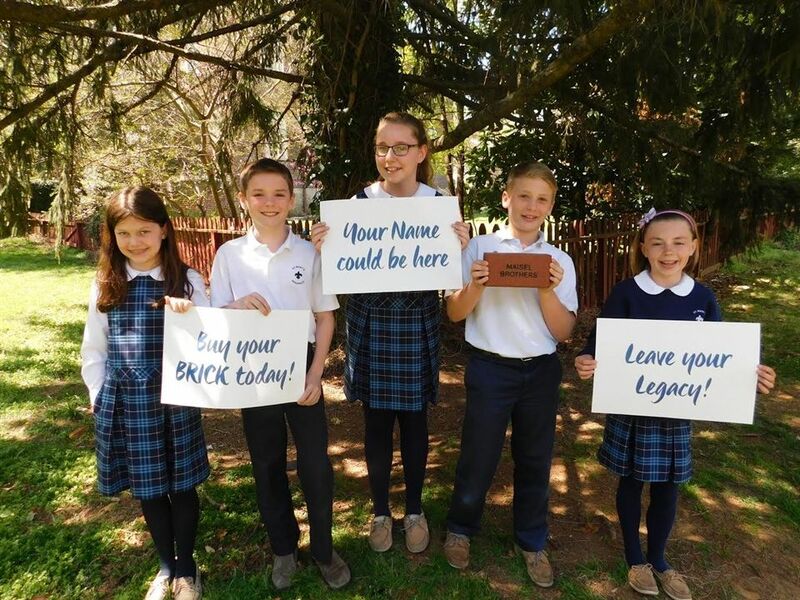 Engrave Your Name in St. Mary's History! It was great to see Annapolis and St. Mary's meet in boys lacrosse again following a lengthy hiatus. Generations of Saints shared our taco lunch today! Catholic Schools week provides our community special opportunities to gather and celebrate! Kevin graduated from St. Mary’s in ’00 attended Bridgeton Academy in '01 and graduated from the University of Delaware in '05. Kevin has served in a wide range of St. Mary’s roles. He has been Class Rep since '07, served on the St. Mary’s School Board from '12 -'15, Vice President of Alumni Board '15-'17 and is now the President of the Alumni Association. He currently lives in Homewood with his wife Jamie and chocolate lab Holtby. They recently introduced their first child Emmett, in November 2018. He is a real estate agent with Long and Foster in the Annapolis Fine Homes Office on Main Street. He enjoys spending time with family/friends during his downtime, playing Ice Hockey and watching the CAPITALS! Greg Ostrowski graduated from St. Mary’s High School in 1998. He is a CERTIFIED FINANCIAL PLANNER™ practitioner and Chartered Retirement Planning Counselor™, providing wealth management and flat-fee 401 (k) help to individuals across America. 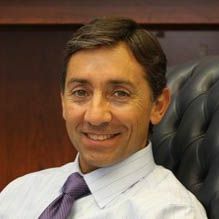 He specializes in savings plan management programs, financial planning for individuals and business owners, investment and wealth management, pension buyout analysis, 401 (k)/IRA rollovers and retirement income planning. Greg is a contributor to Forbes.com and USNews.com and is a Dave Ramsey SmartVestor Pro. He has also served as a panelist for AARP’s LifeTurner.org, teaching Millennials about money essentials and is a member of the Financial Planning Association and Financial Services Institute. Greg was voted “Best Financial Advisor” in the Capital’s Reader’s Choice awards 2012 through 2015, named “Top 40 Under 40” by Rep Magazine in 2013 and has served on the Forbes Finance Council since 2016. Lauren Bonanni Bettis graduated from St. Mary's High School in 2001. She continued her education at King's College (Wilkes-Barre, PA) where she was a four-year varsity member of the women's basketball team. Lauren later earned her Juris Doctorate at the University of Baltimore School of Law and currently works in Annapolis as an attorney with The Law Office of Laura Burrows, LLC. Faye is a 1977 graduate of St. Mary’s High School and a member of the 12-year club. While attending St. Mary’s, she played basketball, and worked on the school’s “Crab Net” newspaper as the sports page editor her senior year. She attended Anne Arundel Community College, completed banking courses through the American Institute of Banking and is a FLG2012 Leadership Anne Arundel graduate. Faye has nearly 30 years of experience in the banking industry with an extensive background in retail banking. Faye’s strength is her knowledge of the Anne Arundel County banking market. She is currently the Vice Pres. /Branch Mgr. of CFG Community Bank at the Annapolis location. Faye is very active in the community; she is a member of the St. Mary’s School Board, the Anne Arundel County Public Library Diversity Advisory Board, The Annapolis Chapter of The Links, Inc.-Services to Youth Chair and serves on the City of Annapolis Financial Advisory commission. In addition, she is a participant in organizations who place a strong focus on empowering our local youth, namely the Annapolis Optimist Club. In the past, she served as the treasurer for Annapolis Jaguars Youth Athletics, an organization which combines fundamental basketball skills and maintaining high educational standards. This group has guided upward of as many as 250 disadvantaged youth in one season. Previously, Faye implemented an on-site elementary school banking program with the purpose of developing good saving habits to create financially responsible adults. Faye is a member of St. Mary’s Catholic Church and the proud parent of two sons, Theandre’, a 1995 St. Mary’s alum and Jordan. Jimmy graduated from St. Mary's in 1980. During his years in school Jimmy was a standout lacrosse player playing on the undefeated team in 1980. He went on to Mt. St. Mary's for two years before transferring to University of Maryland to play lacrosse in 1985. Jimmy has served in a wide range of St. Mary's roles. He was the President of the St. Mary's Athletic Association, Director in the Royal Blue Club and a Board Member of the Alumni Board. He also received the Distinguished Alumni Award along with his wife Lisa Cox Ellis in 2013. He currently lives in Homewood with his wife Lisa '81 and their two sons Jake '14 and Luke '18. He has been a real estate agent in the Annapolis area for 29 years with Coldwell Banker. He enjoys spending time watching his boys play lacrosse and football, playing golf and catching as many lacrosse games as he can. Jim, class of 1978, is one of eight Galligan St. Mary’s graduates spanning 1969 to 1979. He attended Towson University, graduating in 1983 with a dual degree in Math/Computer Science and Business Administration. He received his Masters from Johns Hopkins University Whiting School of Engineering in 1991. He has spent his career helping organizations develop and deploy business IT solutions. 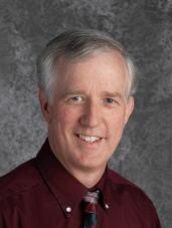 Jim has served St. Mary’s since the early 2000’s working on the Tech council (TechnoSaints), automating the used book process for the High School and as members of the Alumni Board since 2008, the 2009 Strategic Planning effort, and as a School Board member ‘13-’18. Jim is married to Terri for 32 years and they live in the St. Margaret’s area of Annapolis. Their three children graduated from St. Mary’s - Edward ‘08, Thomas ‘09 and Annie ‘13; Edward and his wife Nikki delivered Jim & Terri’s first grandchild (Parker) in Feb ‘18. Jim works for the Department of Defense as a business systems strategist, loves to cook, spend time with family & friends, sip bourbon and travel to U.S. and international destinations. Molly Hauck is a 1996 graduate of St Mary's. She has served on the Alumni Board since 2008. Molly is an educator and advocate for the mission-based skincare and cosmetic company, Beautycounter, and has taught in the AACPS school system since 2000. She loves serving on the Alumni Board and giving back to St. Mary's, the community that has been such a positive presence in her life. In addition to volunteering her time to St. Mary's, Molly is passionate about volunteering with the Anne Arundel County SPCA in Annapolis. Molly currently lives in Annapolis, right around the corner from two famous St. Mary's icons, Mr. Sheehan and Mrs. Conway. David, who recently joined the Board in 2019 has deep ties to St. Mary’s. He is a member of the 12-year club having graduated in 1991 and is married to Neasah Jones (Formerly O’Doherty) who graduated in 1994. Both of his brothers, his sister-in-law, his brother-in-law, and his uncle, all graduated from St. Mary’s. David was married at the Church and all three of his children, who currently attend St. Mary’s Elementary School, were baptized at St. Mary’s. Needless to say, David and his family bleed Blue and White. 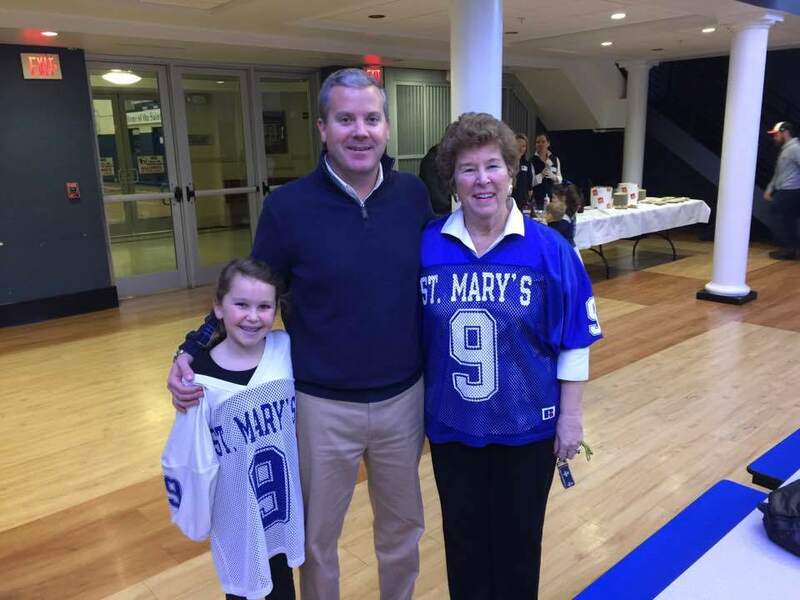 David is on the Board of the Royal Blue Club and is a member of the St. Mary’s Athletic Hall of Fame. 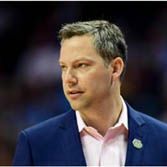 He currently runs a successful Mortgage Company in Annapolis and remains involved in the Community through coaching youth sports and volunteer work. To keep your records up-to-date in our Advancement Office, we encourage our alumni to update their contact information, career updates, and family updates on this form.